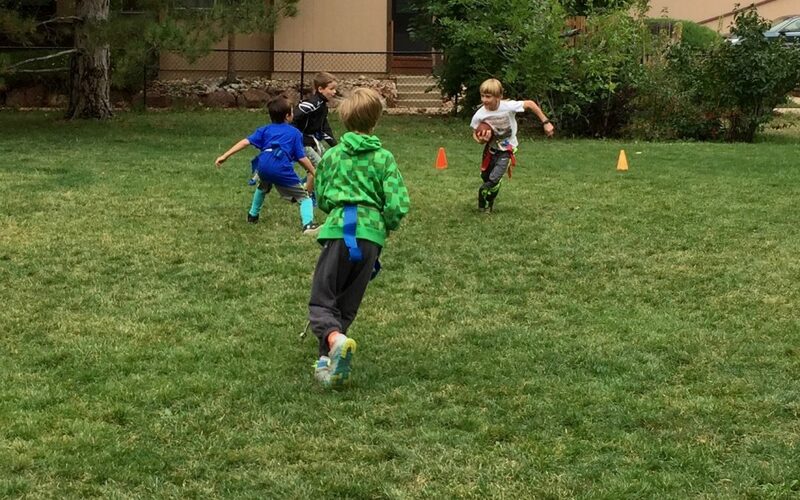 Bixby School > Blog > Summer Camp > It’s Almost Time For Bixby Summer Camp! As the skis in the mountains are replaced by shorts and flip flops in the front range it can only mean one thing: it’s almost time for Bixby Summer Camp! We’ve got a ton of really exciting things planned for our 2018 summer program. Each week, we’ll have a different theme led by our guest theme experts and supported by our awesome summer program staff. This year, we have a Star Wars week with rockets, Ghanaian Drumming and Dancing, Acrobats and Jugglers, Robotics and Design, Cooking with Edible Weeds, and so much more! Campers will have the opportunity to dive deep into these themes throughout the week working in small groups with the guest leaders and participating in other related activities during open play times. One of the great things about coming to Bixby for summer camp is that you get a mix of theme-camp activities and more typical summer camp activities. If you come for our Lego design week you’ll definitely get the opportunity to build impressive Lego bridges spanning tables with our design experts. But you’ll also have the opportunity to be outside playing brick tag on the sports field, painting or printing with Legos, making Lego faces out of craft materials, and other activities that span a wider range of learning domains. Campers will also have the opportunity to swim three times a week with Tim and will get a hot lunch every day cooked on-site by Amber and Ari. One of my favorite parts of the summer is the weekly ramble when we get to go off-site to one of our local parks or open space areas. This summer, we are working on some exciting rambles to Tantra and Martin park, NCAR, local science museums, and possible even a bowling ally. Finally, the best part about Bixby Summer Camp, is that you can share Bixby with all of your friends! The K-6 summer program is open to Bixby and non Bixby students alike, so spread the word! Sign up for 1 week or come for all 12. You can find more information and a link to our registration page at https://bixbyschool.org/programs/summer-camp/. Come join the fun!